It’s been less than three months since Binny Bansal’s shock ouster from Flipkart, the e-commerce giant he founded over a decade ago. The entrepreneur once celebrated for jumpstarting India’s internet retail industry is now dedicating himself to helping other founders get their startups off the ground. Bansal, who departed after Flipkart’s new owner Walmart Inc. investigated alleged personal misconduct, is now focused on xto10x Technologies, a startup he co-founded with former colleague Saikiran Krishnamurthy. It’s aimed at helping entrepreneurs navigate the often-tricky Indian startup scene. Bansal’s already put together an early team, set up an office at a co-working space and even snagged several “leading” startup customers. “I’m looking forward to the next chapter of my life,” the 37-year-old said in his first interview since the episode. “Person to person, I can help 10 startups but the ambition is to help 10,000 early and mid-stage entrepreneurs, not 10,” he said, seated across a table at a restaurant in a Bangalore neighborhood, not far from where he and Sachin Bansal (no relation) set up Flipkart in a two-room apartment to sell books. 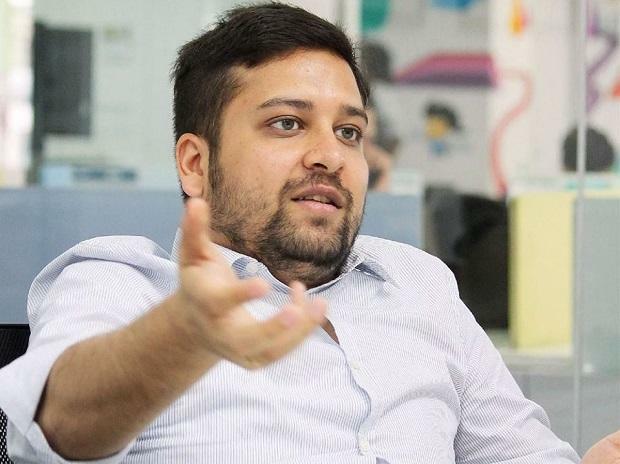 ALSO READ: Binny Bansal: Cops file non-cognisable case against woman, later close it While Binny Bansal was his usual loquacious self, he mostly clammed up when the topic of his 2018 departure came up. That followed Walmart’s $16 billion acquisition of the company, a deal that stunned the domestic tech industry and made him and Sachin billionaires. Barely had the ink dried on the deal when all hell broke loose. The U. S. retail titan initiated an investigation into an allegation of “serious personal misconduct.” Walmart was said to have begun an inquiry into a consensual relationship Bansal had with a woman. The probe looked into claims that the woman had been paid off, possibly in return for her silence, Bloomberg reported at the time. Bansal, who still holds 4 percent of Flipkart and a board seat, has since kept a low profile. During the interview, he quelled attempts to discuss the woman’s identity or investigation findings, all which have been the subject of intense speculation. There’s also the matter of a reported falling-out with Sachin -- to the point they’re no longer on speaking terms. Bansal determinedly puts a lid on it all: “Now, it’s all in the past. I have moved on.” But his demeanor shifts when discussing his passion project. Bansal’s new company will build technology tools to help startups grow, offering on-tap consulting and services from legal and finance to communications, HR and management mentoring. “Today, software is built for large enterprises and not small startups,” he said. And while venture capitalists mentor and nurture founders, there is nothing structured out there, he argued. For example, when startups raise funds, they need to know where they should park the money, how to set a high bar for talent and how to build a viable company culture. “Think of it as solving for startups what Amazon Web Services has done for computing, helping enterprises go from zero to a thousand servers overnight with no hassle.” Few entrepreneurs can boast Bansal’s track record. Armed with a computer science degree and a short Amazon stint, he went on to help create India’s largest online retailer within a decade, tackling Amazon.com Inc. head-on. But xto10x was born in part because Bansal recalls Flipkart itself made mistakes at every turn. ALSO READ: Walmart rushes teams to Bengaluru, help Flipkart after Binny Bansal's exit “Instead of making a thousand mistakes, if we can help other startups make a hundred or even few hundred, that would be worth it,” he said. It will retain a global focus as “problems for entrepreneurs are the same everywhere.” Bansal will be chairman of the company but won’t take on an operating role. That leaves him time to bond with his two-and-a-half-year-old twin boys, take road trips with the family and build a new home. That’s not to say he hasn’t kept his hand in. He’s an anchor investor in a fund called 021 Capital. His family office has backed about 30 startups over the past five years. His most recent investment has been in Crio, a learning platform for software developers, whose seed round he co-funded with several prominent ex-Flipkart executives now popularly referred to as the “Flipkart Mafia.” Sachin Bansal, meanwhile, is prepping his own second act, mentoring and funding startups and contemplating his own enterprise. His biggest move so far has been a sizeable investment into Uber rival Ola.